The Federal Trade Commission announced Monday that two Countrywide mortgage-servicing companies have agreed to pay $108 million to settle charges that they collected excessive mortgage-servicing fees from financially troubled homeowners. Two Countrywide mortgage servicing companies will pay $108 million to settle Federal Trade Commission charges that they collected excessive fees from cash-strapped borrowers who were struggling to keep their homes. The $108 million represents one of the largest judgments imposed in an FTC case, and the largest mortgage servicing case. It will be used to reimburse overcharged homeowners whose loans were serviced by Countrywide before it was acquired by Bank of America in July 2008. 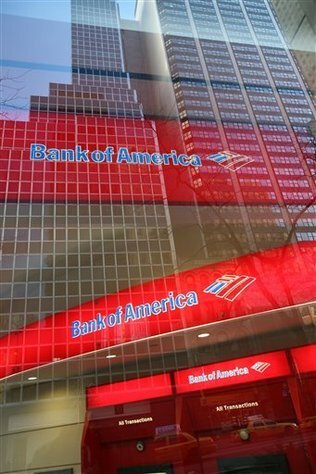 The $108 million payment, which is the largest mortgage-servicing case in the commission’s history and one of its largest overall judgments, will go to more than 200,000 homeowners whose loans were serviced by Countrywide before July 2008, when it was acquired by Bank of America. $108 milllion divided by 200,000 people is $540 per person. So each person gets, at most $540.00. Jon Leibowitz, the chairman of the Federal Trade Commission, said that Countrywide’s loan-servicing operation charged excessive fees to homeowners who were behind on their mortgage payments, in some cases claiming that customers were in default when they were not.